​Chinese Super League side Dalian Yifang are believed to be ready to rival Barcelona in their pursuit of Chelsea ace Willian this month, despite Blues boss Mauricio Sarri clearly stating he doesn't want the player to be sold. The Brazil international netted a stunning goal to secure his side a 2-1 win over Stamford Bridge on Saturday evening. The winger has proved to be a real favourite of new boss Mauricio Sarri's, having become a peripheral figure in the side last season, after publicly falling out with then-manager Antonio Conte. 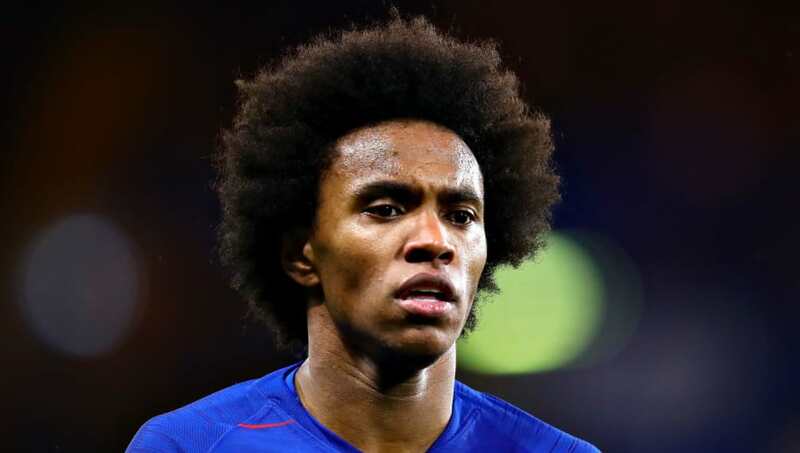 According to the Mirror, Chinese Super League side Dalian Yifang will look to test the ​Blues' resolve to keep Willian at the club, and could rival the interest of ​Barcelona, ​who had a £50m bid turned down earlier in the week. It is unclear how much the Blue Hawks are willing to bid, but given the enormity of wealth in the Chinese top tier, it could well exceed Barça's offer. Blues boss Sarri is adamant that he wants to hold onto the 30-year-old, and said: "Of course I don’t want to lose him. Willian is very important for us so I think it’s impossible to lose him in January. "He can do better because the potential is high. Usually he wants the ball to his feet. He can improve on his movements without the ball, and he has the potential to score more." The former Napoli manager responded similarly to talk Willian potential exit in an interview with ​Sky Sports, claiming: "You know very well that Willian is a very important player. In my opinion, Willian has to stay with us because for us he is really a very important player, like Pedro." "(Callum) Hudson-Odoi is becoming for us a very important player. With Eden (​Hazard) as a striker we need wingers so we need Pedro and Hudson-Odoi. And Willian, of course. For us, in this moment, he is a fundamental player." Sarri's desire to hold onto Willian could suggest an uncertainty over Hazard's future at the club. ​Reports today have once again linked the talismanic forward with a move to Real Madrid, and the Blues boss may well be concerned at the prospect of losing more players with title winning experience - especially with Cesc Fàbregas' recent move to Monaco.